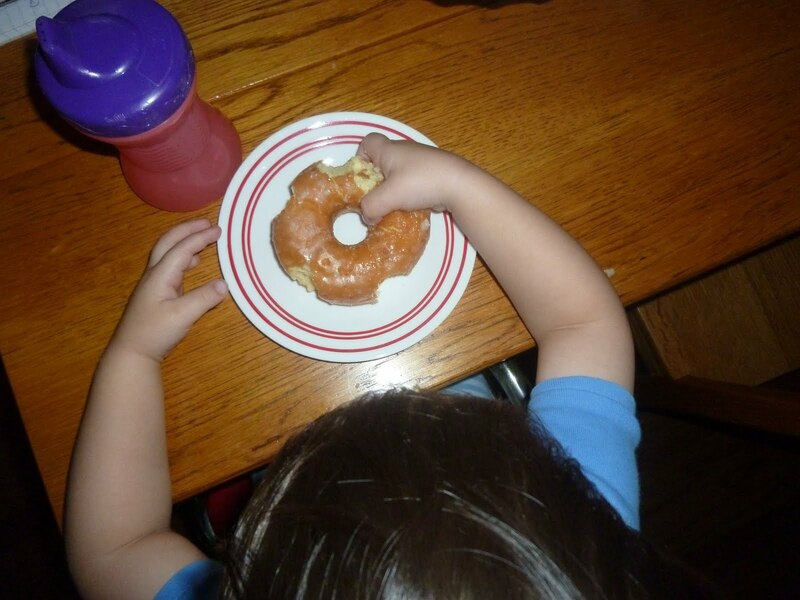 Chris and I find this rather adorable – Joseph will eat all the way around a donut before biting into the hole. And since we're talking donuts, Chris wanted me to share a related story: Couple of weeks ago, Will and I did not get the donuts we expected after visiting a national chain newly opened down the street. My solution was to cut the middle of the cream-filled powered donut out so Will was left with a powered donut to eat. Chris thought it was funny. I thought it was resourceful. Because that's what us mommies do — find solutions to make our babies happy. And Will, he was happy.